Thing 2 was very excited. 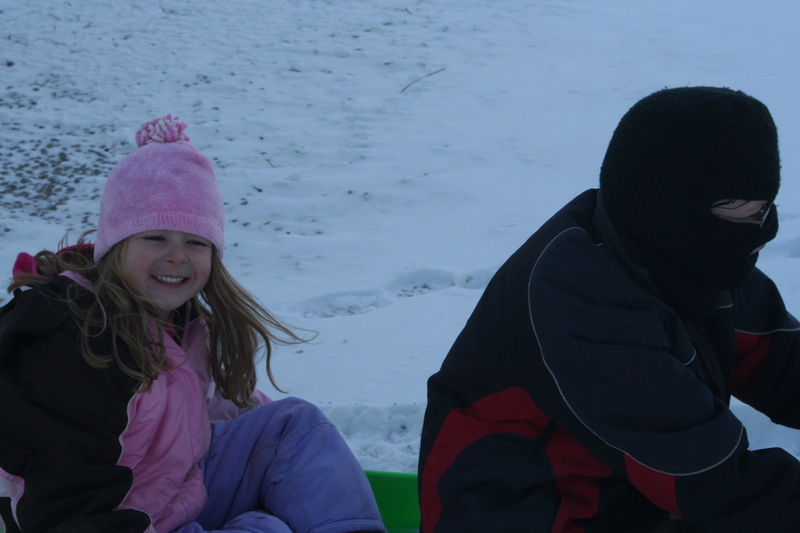 She was finally getting a ride on Grandma and Grandpa’s trombone (or toboggan, depending on who you ask). Although you can’t tell, Thing 1 is also very excited. 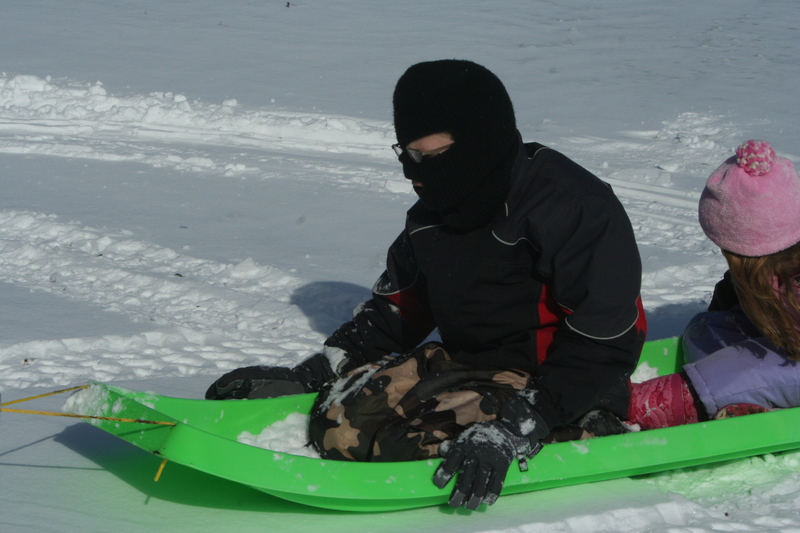 I can’t decide if he looks vaguely threatening with the ski mask, or vaguely nerdy with the glasses over it. 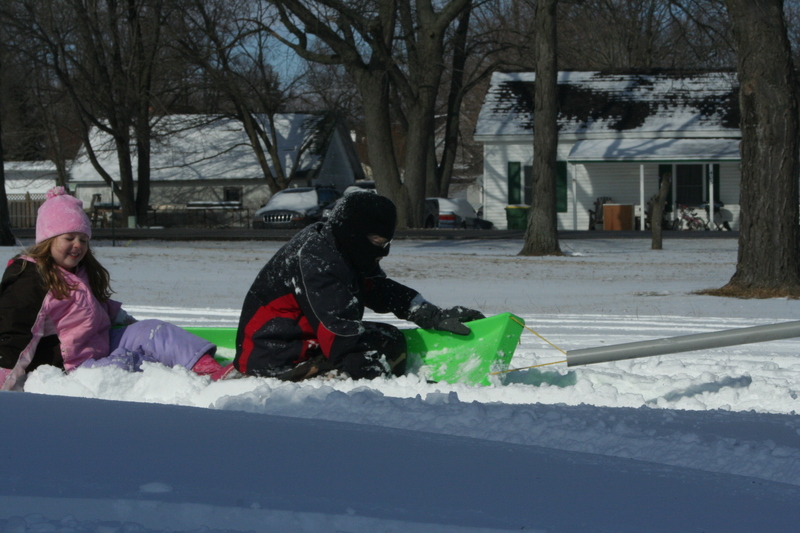 The toboggan (or trombone) has been sitting in Grandma and Grandpa’s garage for weeks, but it’s been either too cold or not snowy enough to try it out. 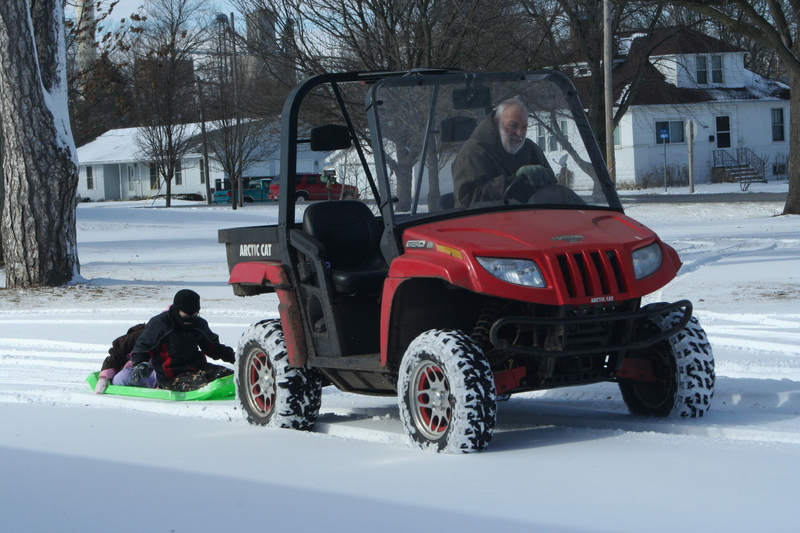 Although I did tell Thing 2 that Grandma and Grandpa had taken it out for a test ride. Thing 2 kept yelling “Faster! Faster! Faaasssssttttterrrrrr!!!! 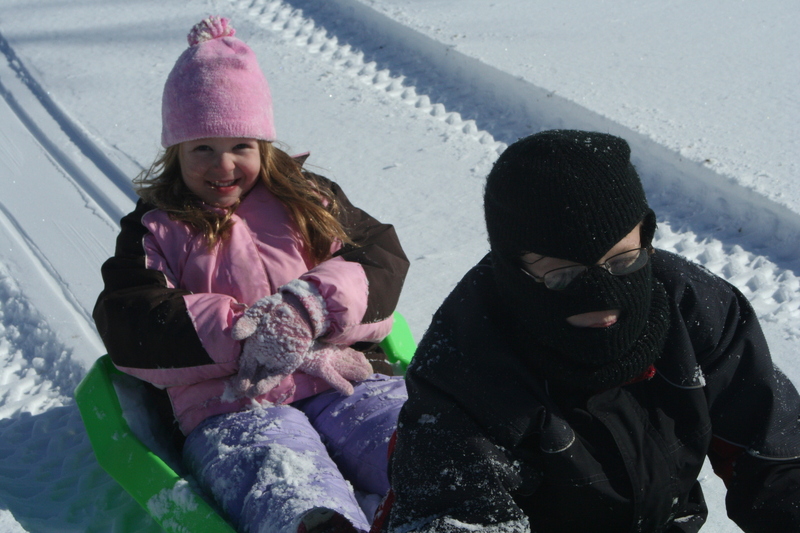 !” Some kids have college funds, but I’m afraid we need to start a speeding ticket fund for this one. The kids had more fun than a barrel of monkeys, and they weren’t alone. I am SO grounded if my dad finds out his picture is here.